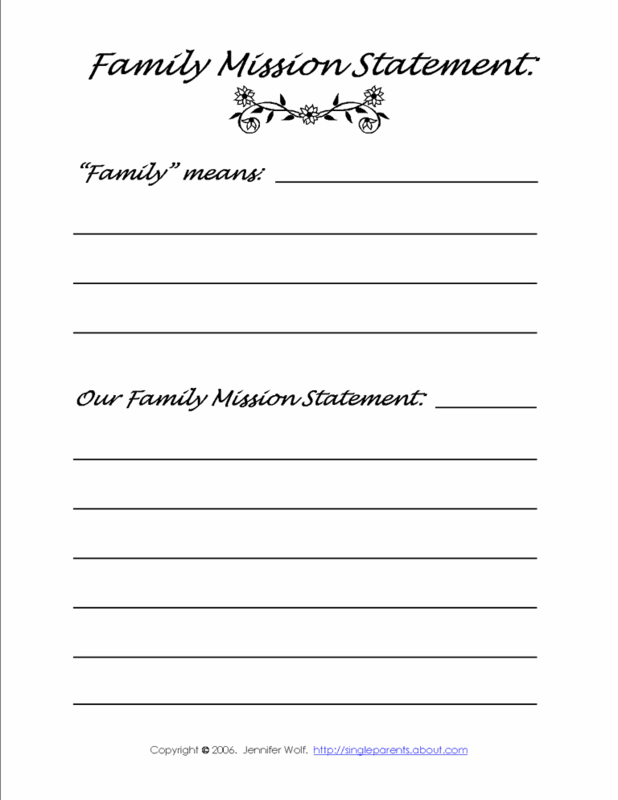 Free Printable Family Mission Statement. As a single parent, everything that happens in your household depends on you. That's why the exercise of writing a family mission statement is so powerful. It's an opportunity to define who you are and where you're going as a family unit. What you are doing is casting a vision for the family life and interactions you want to build. In The Seven Habits of Highly Effective Families, author Stephen R.
Keep in mind, too, that there is no "wrong" way of doing this. In addition, as you work through this exercise, try to keep your mind focused on what you want for your future; you don't have to limit yourself to what is happening now or what has taken place in the past. Start by asking each family member to answer the list of questions below. You might consider doing this exercise as part of a family meeting. If you wish, you can have your kids dictate their ideas to you while you write them down. What is most important to you about your family? What are your collective goals? Describe your family in 5 years...10 years...15 years. When you have completed the questions, use your collective responses to formulate a series of declarations which will become your "mission statement." Then write your mission statement on a free printable form, and post it in a location where your entire family can see it often. Revisit your mission statement several times a year and make changes to reflect new values, hopes, and dreams. This exercise is not only important for you and your children to complete together; it can also be extremely valuable in identifying the collective goals you share with the other parent in raising your children. 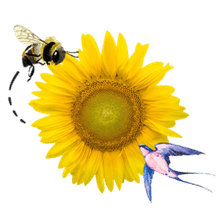 If you share good communication, or if you'd like to improve your co-parenting skills, try using the questions listed here to design a co-parenting mission statement. Print this page (in order to have a list of the questions). 1. Covey, Stephen R. The Seven Habits of Highly Effective Families. New York: Golden Books, 1997.